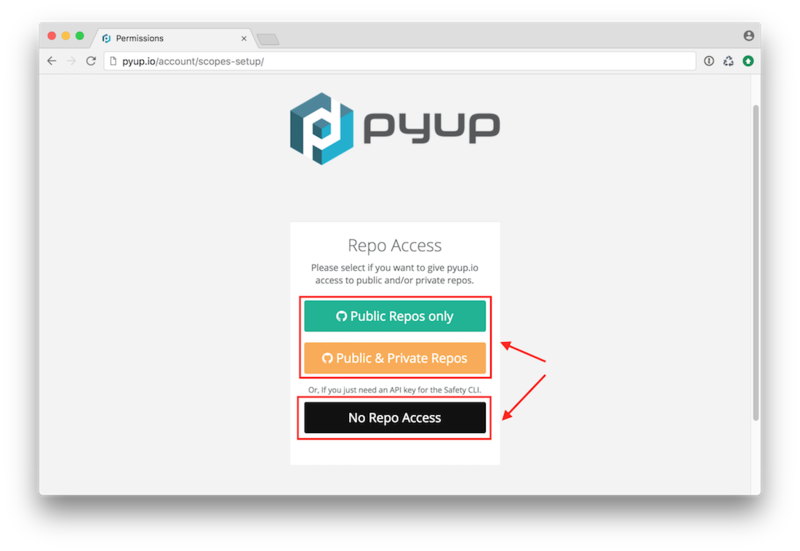 An API key gives you direct access to pyup.io's API. 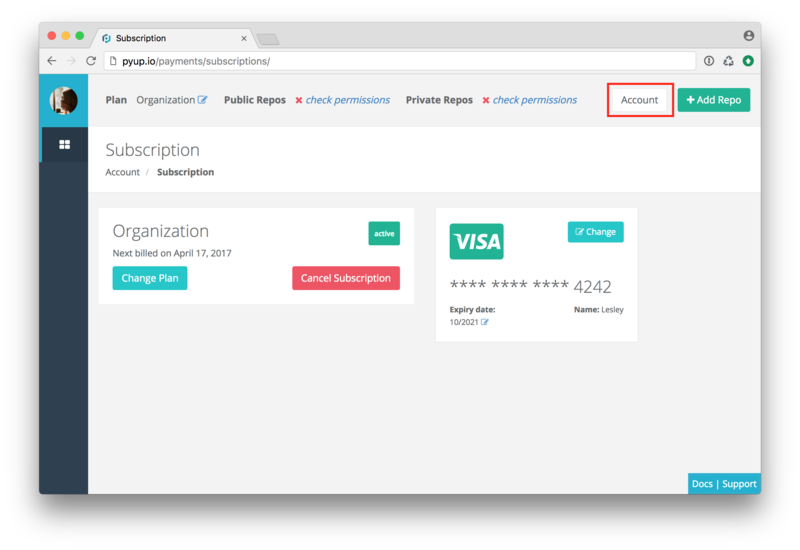 This can be used by the bot to query for additional package metadata like changelogs and by Safety to get access to the vulnerability database. 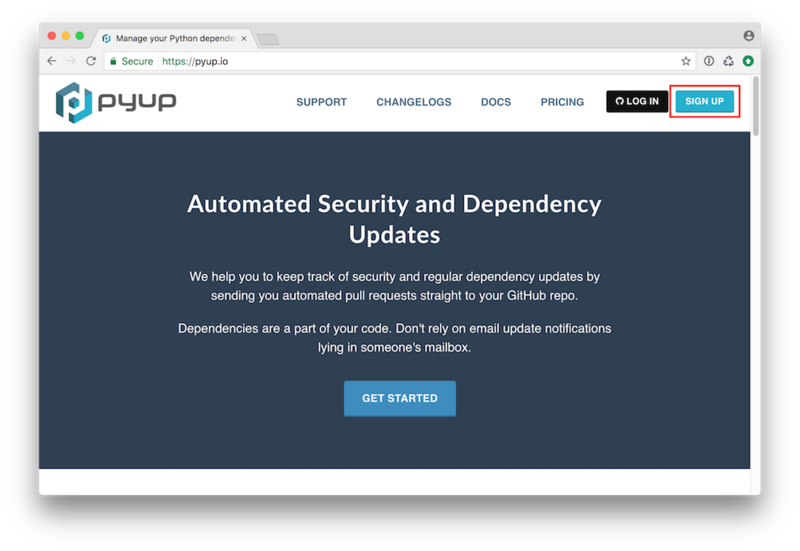 If you are running the bot or Safety on a production environment, it is highly recommended to use an API key. 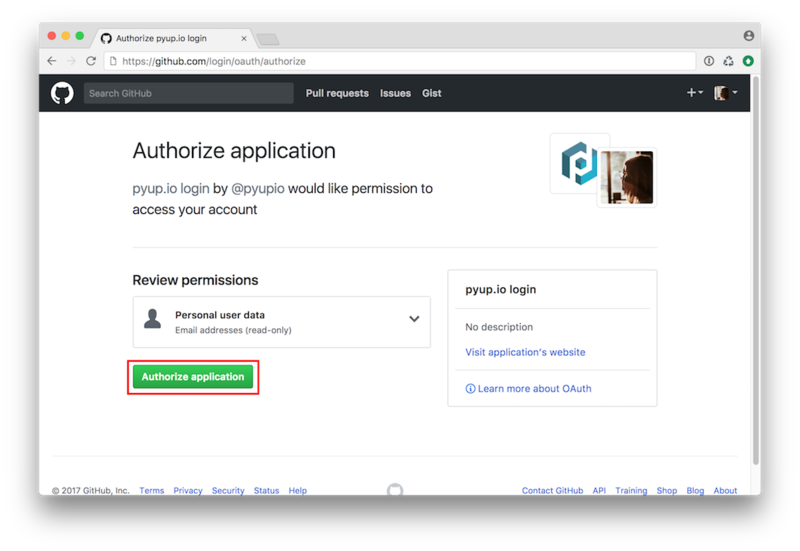 API keys require a paid subscription on pyup.io, see pricing for details. 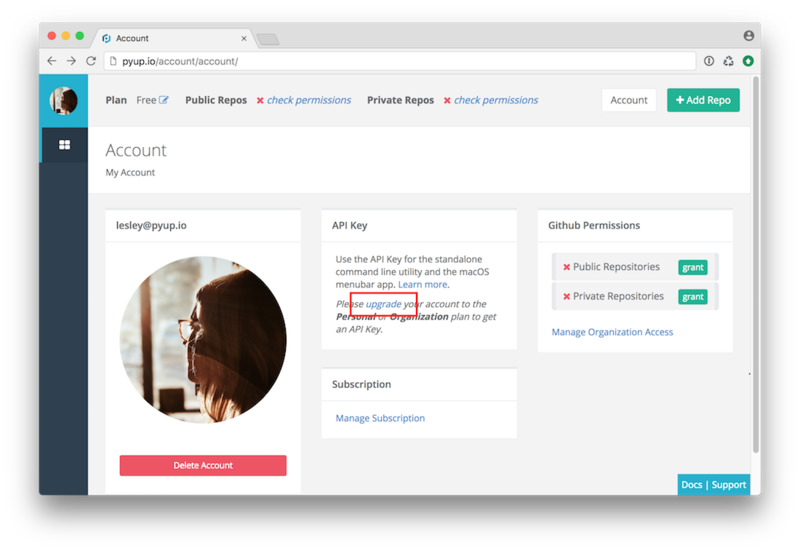 If you have an active subscription, check out your account page, otherwise follow the step-by-step guide below. 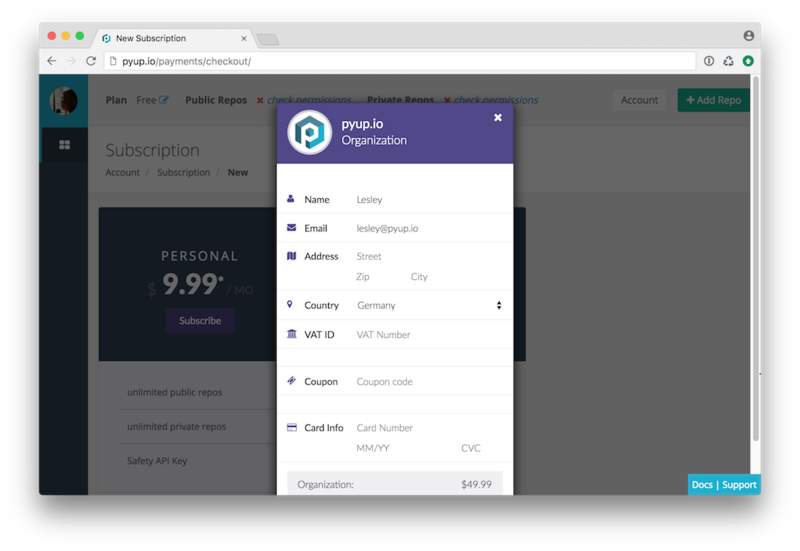 Once payment is complete, you’ll be redirected to your subscriptions page. Click on Account to get back to your account page.